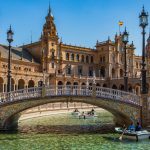 Looking for the best hostels in Valencia, Spain? While there are many Valencia hostels, not all are that great. We’re here to help you pick cream of the crop of Valencia hostels. 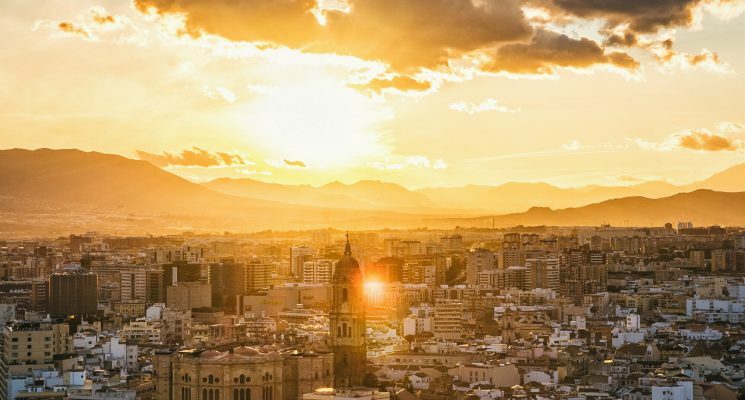 Home to some of Spain’s best festivals, with a vibrant arts and culture scene, fascinating history and some of Spain’s best nightlife – Valencia should definitely be on your European bucket list. The city receives over 300 days of sunshine each year, and its coastal location make it the perfect place to soak up some rays while immersing yourself in Spanish culture. 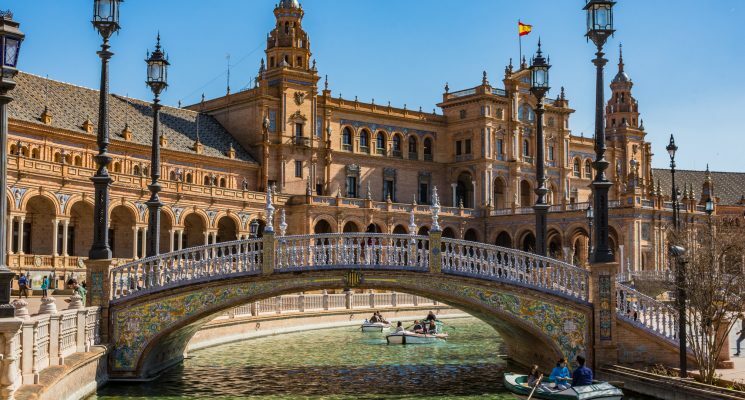 Valencia is well-known as the home of Paella, but its fantastic dining scene has plenty more to offer in the way of traditional Spanish gastronomy and eclectic cuisine from around the world. Don’t worry about going hungry! Valencia is one of the oldest cities in Spain, with plenty of monuments and museums to visit, and stunning architecture to marvel at. 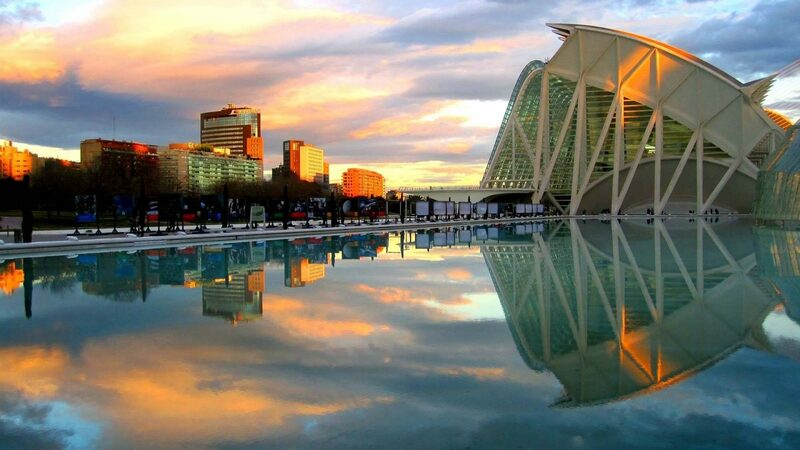 Due to its incredible climate, it’s no wonder Valencia is an outdoor lover’s paradise. Take a walk in Valencia’s natural park, Albufera, which is home to Spain’s largest lake, or hop on a short bus ride and spend the day relaxing on the beach – be sure to pack your sunscreen! Visit one of Valencia’s main attractions, the City of Arts and Sciences, which is an innovative complex of state of the art entertainment including a science museum, 3-D cinema and an opera house. Valencia is home to some of Spain’s biggest and craziest annual festivals including Las Fallas, which falls in March, and Tomatina which takes place on the last Wednesday of every August. If you’re lucky enough to visit the city during these festivities then you’re guaranteed to have an experience like you’ve never had before, but we highly recommend booking your accommodation WELL in advance as the city can get pretty packed! 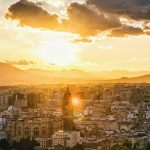 We have put together this list based on what we personally expect out of a great hostel in Valencia. Clean rooms, comfortable dorm beds with power outlets, secure luggage storage, friendly atmosphere that encourages interaction (but doesn’t force it), and a communal kitchen are all super important aspects in our eyes, and we prioritize them when suggesting a great Valencia hostel. All of these are factors when it comes to making our selection of the best hostels in Valencia, Spain. An atmosphere which embodies the Valencian way of life, vintage design and numerous facilities are just a few of the reasons why Home Youth Hostel is one of the best hostels in Valencia for travelers on a budget. 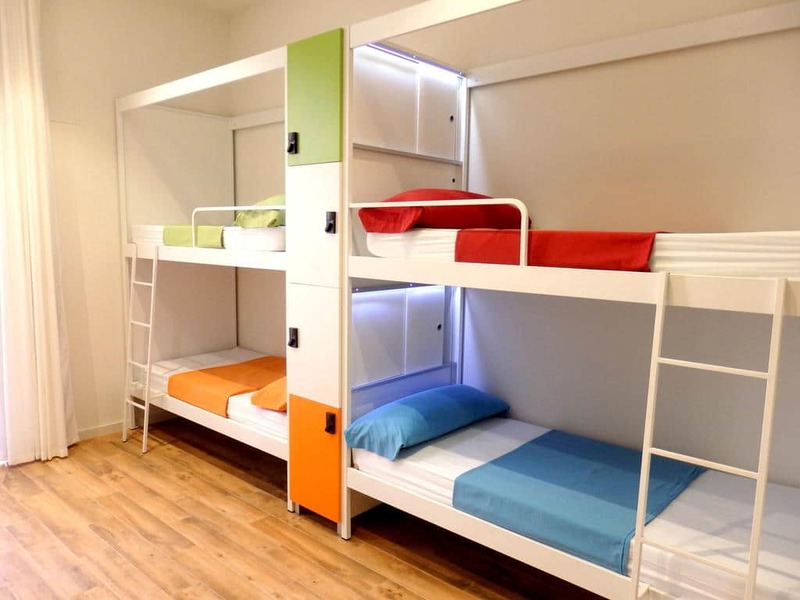 This Valencia hostel offers dorm rooms with no more than 4 beds! It’s perfect those who prefer to avoid overcrowded (and smelly!) rooms. Another plus is that there are no bunk beds! So you don’t have to worry about being woken up by rattling and shaking as your roommate tried to climb up the ladder in the dark. If you prefer, you can choose a female only dorm as well. The decorators have done a fantastic job in this hostel, with weird and wonderful feature walls in every room depicting bright paintings and collages which liven up the space. All guests are provided with a locker, reading light and charging facilities. There are plenty of communal spaces to relax and socialize in this Valencia hostel. The lounge area is dotted with big, comfy armchairs which add to the vintage atmosphere of the hostel. You can feel free to put on a film, chill out with a book or cook whatever you fancy in the kitchen area. Join in with the family dinners which are hosted twice a week, where you can get to know others guests over delicious home cooked food, and then hit the town afterwards! The social and attentive staff really make it one of the best hostels in Valencia. They’re always happy to provide insider tips and tricks for seeing the city. The free walking tour is a must, it’s daily so you have no excuse for missing it! Located in Valencia’s Barrio El Carmen district, this hostel is just seconds from the central market and the silk market, and within walking distance to the train and bus stations. The beach is just a 10 minute bus ride away! So, if you’re looking for a fun, modern and relaxed hostel in Valencia then we highly recommend Home Youth Hostel! For more information, reviews, or the best prices on Home Youth Hostel click here. Social and central, Purple Nest Hostel is one of the best party hostels in Valencia. If you’re a social butterfly when you travel and enjoy experiencing the nightlife of every city then this is the perfect hostel for you. 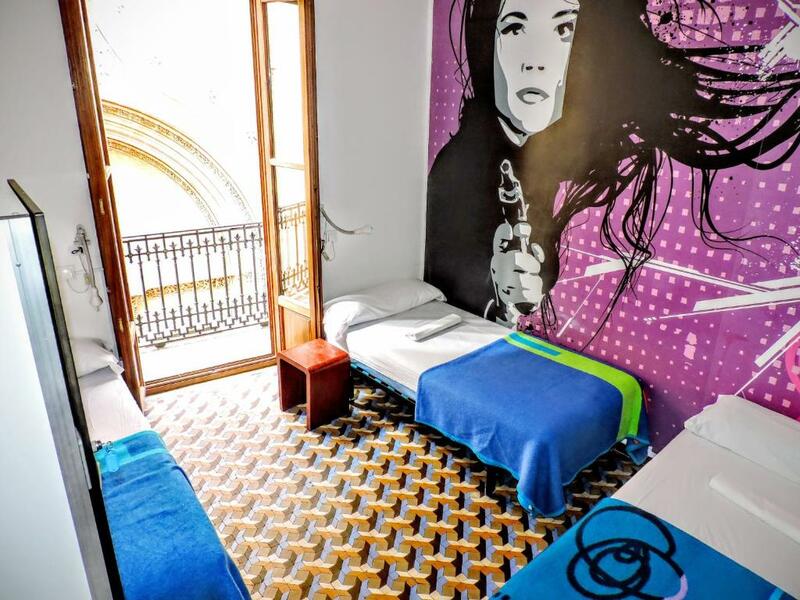 Located just a ten minute walk from some of Valencia’s main attractions, such as Plaza de la Virgen and Plaza de la Reina, this hostel is ideal if you want to explore this lively city on foot. One of the best things about traveling is meeting people from all over the world, and this Valencia hostel provides the perfect environment to do this. Several nights a week the hostel organizes outings to the best bars and clubs that Valencia has to offer, with free entrance and welcome drinks included! 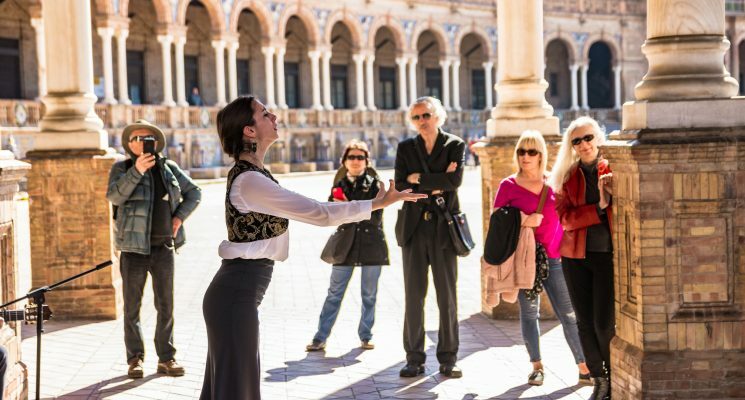 They also organize daily walking tours and tapas tours, which help you to experience the best that Valencia has to offer as affirmed by locals. If that’s not enough, there’s even tai chi lessons! The rooftop bar is open until 1:30 am every day, and it’s the perfect place to have a few drinks and socialize before going out. The friendly and inviting staff at Purple Nest are always happy to offer insider’s advice on the best restaurants, bars, events and sites to visit during your stay. Dorm rooms accommodating 4-10 people provide guests with everything they need for a comfortable night’s sleep. Rooms are airy, spacious and air-conditioned, and the bright color scheme definitely gives them a cheerful vibe! This Valencia hostel prides itself on its security, and guests are provided with key card access and individual lockers. If you’re seeking a hostel that encourages a social and proactive atmosphere, without compromising on safety and comfort, then this Valencia hostel is where you want to be. Experience Spain’s fantastic fiesta culture, and get lost in the beauty and atmosphere of the city at one of the best party hostels in Valencia. For more information, reviews, or the best prices on Purple Nest Hostel Valencia click here. One of the best hostels in Valencia for travelers on a budget, Red Nest Hostel Valencia is clean, comfortable and centrally located. Within walking distance to Plaza de la Virgen, Plaza de la Reina and the central market, you’ll be in the perfect place to start exploring Valencia! It’s comfortable and extremely colorful, and will surely liven up any weary traveller who stays here. 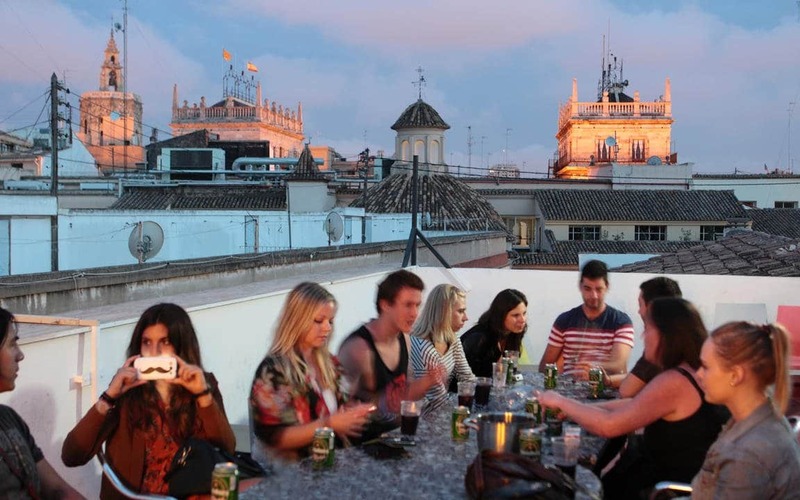 This Valencia hostel offers a newly renovated bar and terrace area, where you can enjoy a drink or two while the sun goes down. Some say they’re the cheapest prices in town… This hostel is great for meeting people, as they offer weekly social events where you can get to know like-minded travelers to experience the magic of Valencia with. Weekly BBQ and homemade paella nights are great for socializing and soaking up the Spanish lifestyle! 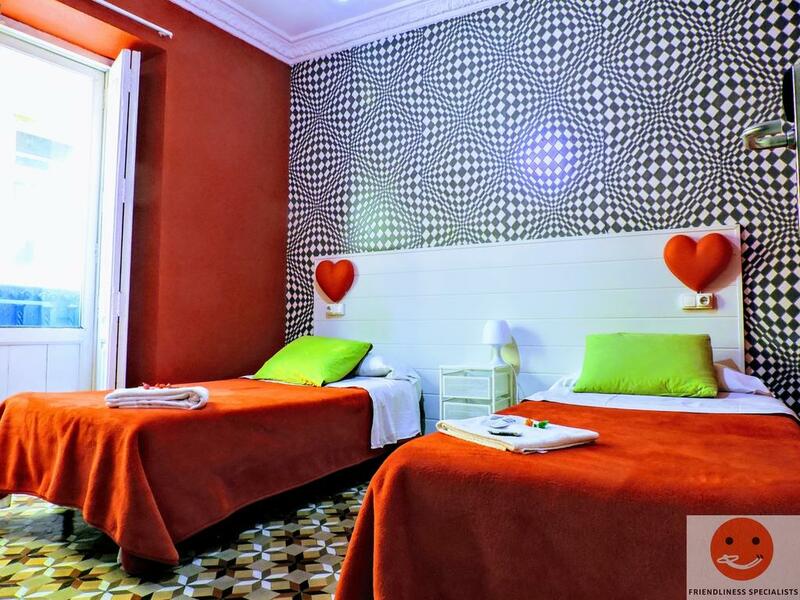 The rooms of this Valencia hostel are large, airy and brightly decorated. Each guest is provided with their own secure locker, a new (very comfortable) bed, and access to a huge communal kitchen. For just 3 euro, guests can indulge in a buffet breakfast including seasonal fruits, croissants, cereals and much more. 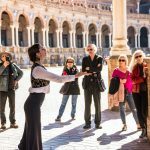 The staff speak your language, and they’re more than happy to provide their insider knowledge on the best things to see and do in Valencia. 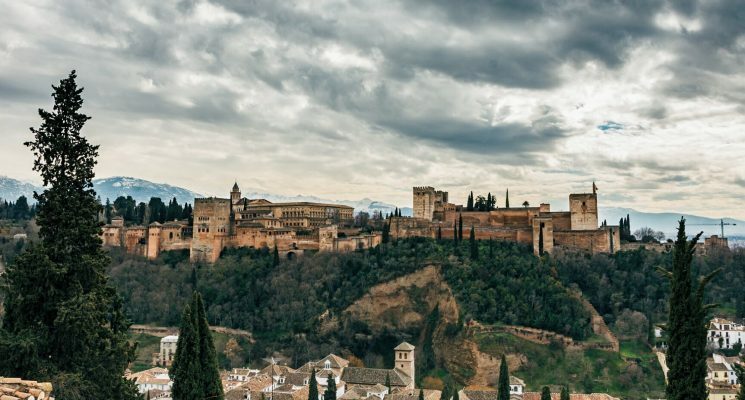 The staff organize walking tours, pub crawls, paella and sangria nights and much more, so you’ll have plenty of opportunities to meet fellow travelers and make new friends. For more information, reviews, or the best prices on Red Nest Hostel Valencia click here. One of the newest additions to the hostel scene, Urban Youth Hostel’s friendly atmosphere and close proximity to the beach make it one of the best hostels in Valencia for travelers on a budget. If one of your main reasons for visiting is to spend your time relaxing on the golden shores of the Mediterranean, then this is the perfect Valencia hostel for you. Urban Youth Hostel is just a leisurely 20 minute stroll from the beach, and enjoys great access to transport links that will take you to the city centre in no time at all. The friendly staff will happily provide information about the city, and you can even rent bikes for a very affordable price. Large, colorful rooms provide guests with everything you need for a comfortable night sleep. Dorm rooms sleeping 4-10 people are available, as well as private rooms equipped with ensuite bathrooms and flat screen TVs. Each room is air-conditioned, so you don’t have to worry about tossing and turning all night during the summer months. Each guest is provided with their own electronic locker, outlet and personal reading light. The design of this Valencia hostel is modern and elegant, with splashes of color brightening up each room. Guests of this Valencia hostel rave about the onsite restaurant and bar, which serves up delicious burgers including options for vegetarians and vegans! Enjoy a cold beer or a glass of sangria with your fellow guests before heading out to experience Valencia’s incredible nightlife. There are plenty of spaces to relax and chill out during the day. 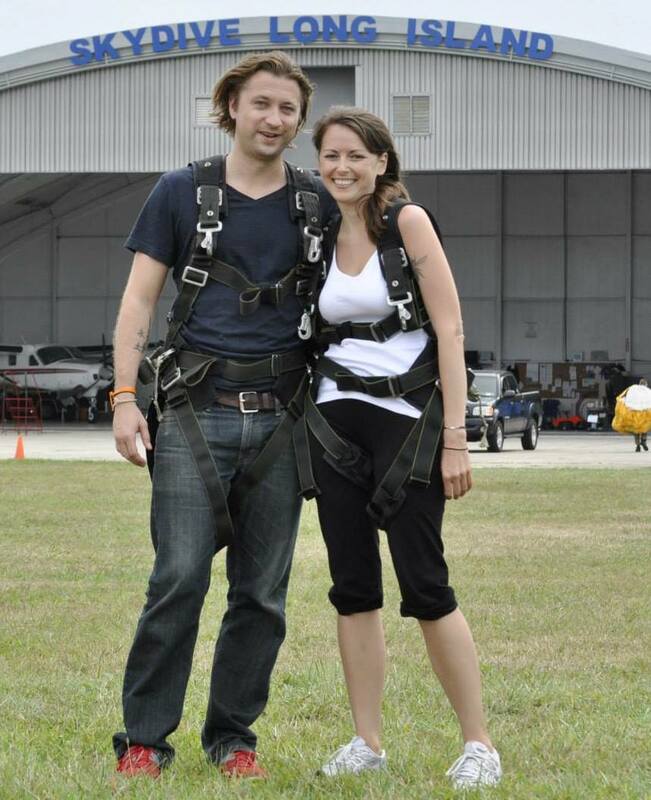 For more information, reviews, or the best prices on Urban Youth Hostel click here. Center Valencia Youth Hostel’s central location, affordable prices and chilled atmosphere make it one of the best budget hostels in Valencia. 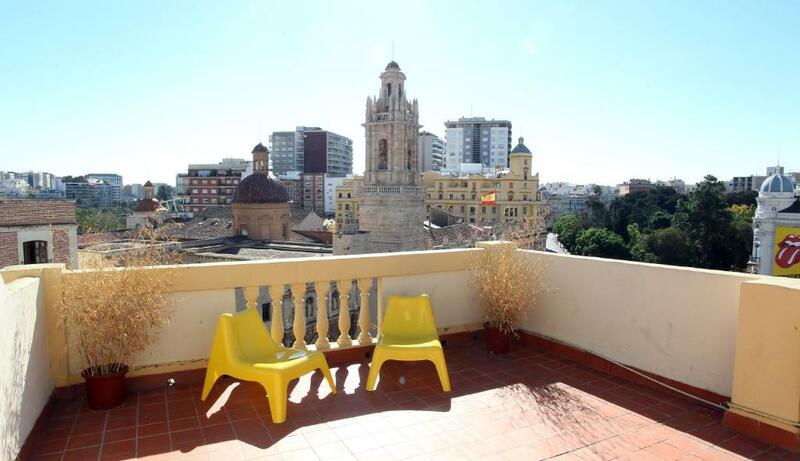 Located right in the old center of Valencia, this hostel is just a short walk from some of the cities top attractions. Less than 10 minutes away is the cities best nightlife area, countless bars and restaurants where you can find delicious tapas and all the paella you could ever dream of. Plaza de la Virgin, Micalet, Plaza del Ayuntamiento and the cities best nightlife spots are all right on your doorstep. This Valencia hostel offers modern and spacious dorms and private rooms, as well as female only dorms with ensuite bathrooms, and there’s something for every type of traveler here. Rooms are minimalistically decorated, with bright feature walls to brighten them up. Spacious, airy and comfortable you’ll have everything you need. Thankfully, rooms are air-conditioned to make those Spanish summer nights more bearable, and each guest has a private lockers and free linen. A simple breakfast is free for guests, including tea and coffee, toast and spreads, and various cereals. The friendly staff at the front desk will happily provide you with all the information you need to make the most of your time in Valencia. Free city maps, tickets for excursions and events, as well as cheap bike hire are available for you to make the most of. A free walking tour is offered daily, as well as weekly pub-crawls so you can get to know your fellow guests and learn about the history of this incredible city. One of the best things about this Valencia hostel is the rooftop terrace, where you can relax with a cold beer while you bask in the evening sun. The staff host BBQ nights on the rooftop during the summer months. If you’re looking for a budget hostel and you value comfort, a great location and a social atmosphere then this is oen of the Valencia hostels you need to consider booking! For more information, reviews, or the best prices on Center Valencia Youth Hostel click here. There you have it guys, our list of 5 of the best hostels in Valencia. 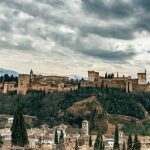 We hope you enjoy your visit to this awesome Spanish city! As always, happy travels and we’ll see you on the road!